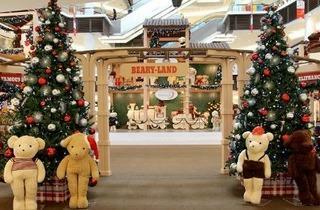 Paradigm Mall celebrates this Christmas season with teddy bears. 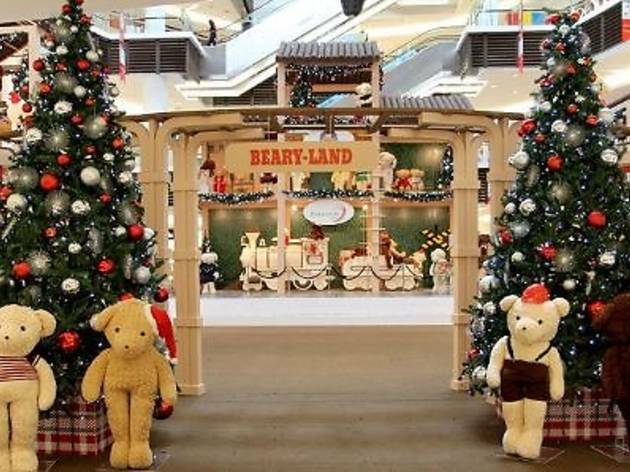 Its Upper Atrium on the upper ground level has been transformed into teddy bear wonderland, featuring Cody the 20-foot giant teddy bear located on the ground floor boulevard. With so many bears around the mall, there will definitely be some missing. Help 'find' them when you spend RM50 in a single receipt and stand a chance to win various prizes. Additionally, you can get a RM5 voucher from Fish & Co to receive one token or spend RM50 in a single receipt with your RHB debit, credit or Easy card to get three tokens to participate in the Find the Cuddly Teddy contest. For MasterCard holders, take home a a limited edition 'Beary Christmas' T-shirt by spending RM300 in a single receipt with your MasterCard. Redemptions of tokens and rewards can be made at the Concierge counter on Level CC. Other than that, look forward to a Santa Claus meet and greet, performances, Christmas caroling and more throughout the month.